The wonderful and diverse syngnathids of Normanville, South Australia | Marine Life Society of South Australia Inc. 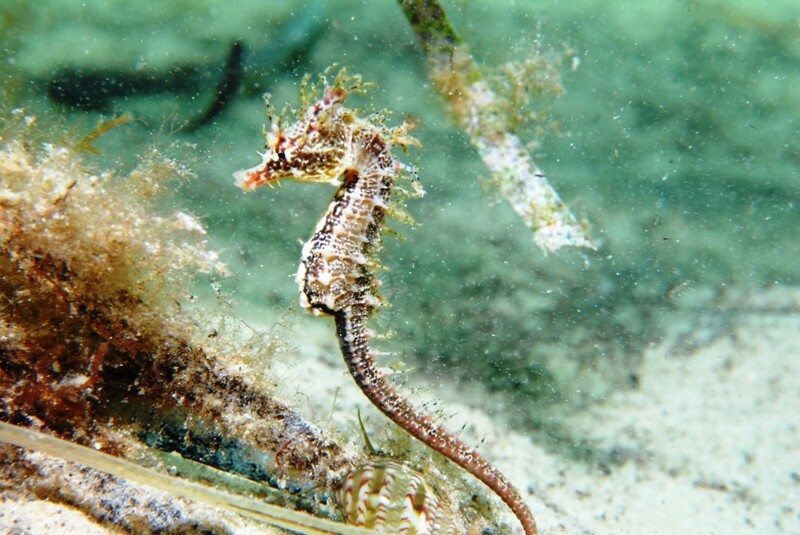 I am a research associate at the California Academy of Sciences where I study the evolutionary relationships among seahorse, seadragons, and pipefish in the family Syngnathidae. I employ DNA sequencing, morphological characters, and underwater photography to gain a better understanding of these relationships which are largely unresolved in this family, and therefore is in need of a major revision which will help in the management and conservation of these fishes. Australia, and in particular Southern Australia, is a major hotspot for syngnathid diversity and endemism. 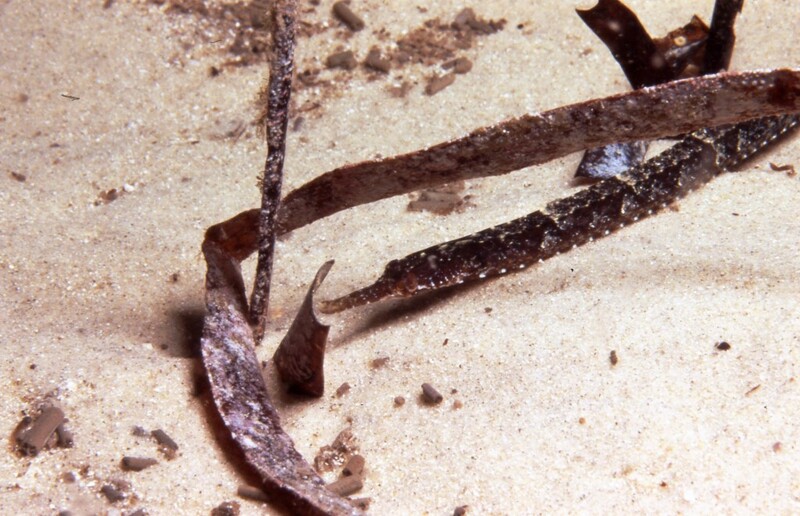 According to Dawson, CE (Indo-Pacific Pipefishes: Red Sea to the Americas 1985) and Froese, R. and D. Pauly (FishBase 2015 ) 93 out of 298 species or 47 out of the currently recognized 57 genera of syngnathids occur in Australia in which 45 species are endemic. Incredibly, Southern Australia has 36 out of the 45 endemic species of syngnathids, and when compared to the total number of species found in all of North America which currently stands at around 30 seems downright impolite of nature to leave a depauperate trail of syngnathid biodiversity. 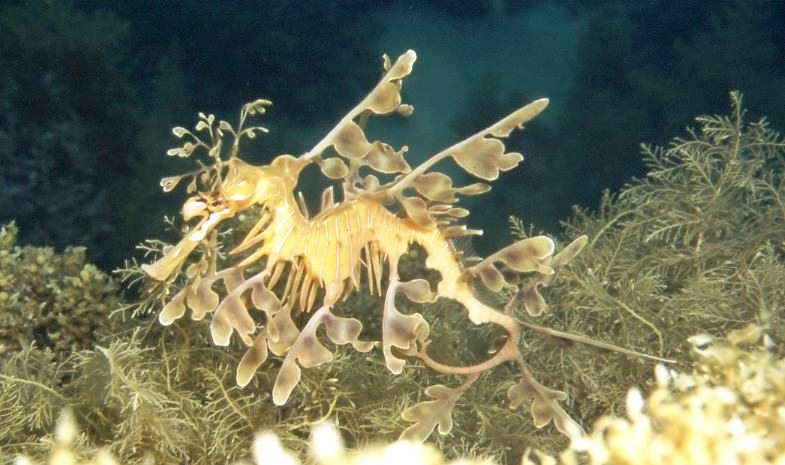 I first visited South Australia to photograph the leafy seadragon at Rapid Bay jetty in 2005 after which I was eventually introduced through Dr. Robert Brown to my good friends and local dive buddies David Muirhead and Kevin Smith. David had mentioned to me that diving at Normanville SA was an interesting dive spot with respect to syngnathid diversity and habitat, and had taken many underwater photographs over the years documenting and observing these fish. The dive area consists of vast shallow seagrass beds with small inshore areas of silty and sandy rubble interspersed with clumps of seagrass. The first time I joined David to dive near the jetty I saw immediately that he was not teasing me – it was syngnathid heaven – as I was more than impressed as soon as I was submerged in the water. 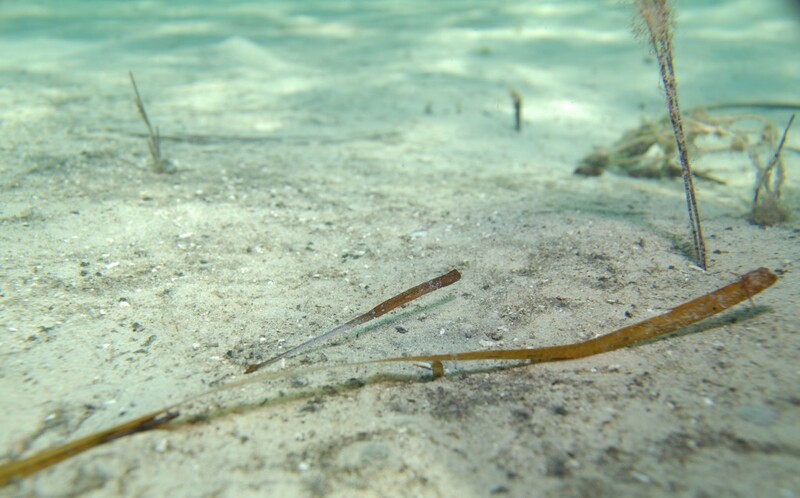 He and I quickly spotted three genera of pipefish on the sand (Pugnaso, Histiogamphelus and Hypselognathus) at one meter depth after which we proceeded to check out the clumps of seagrass further out. Careful inspection of these clumps also revealed many other genera of pipefish: Stigmatopora, Vanacampus including Histiogamphelus and Hypselognathus. 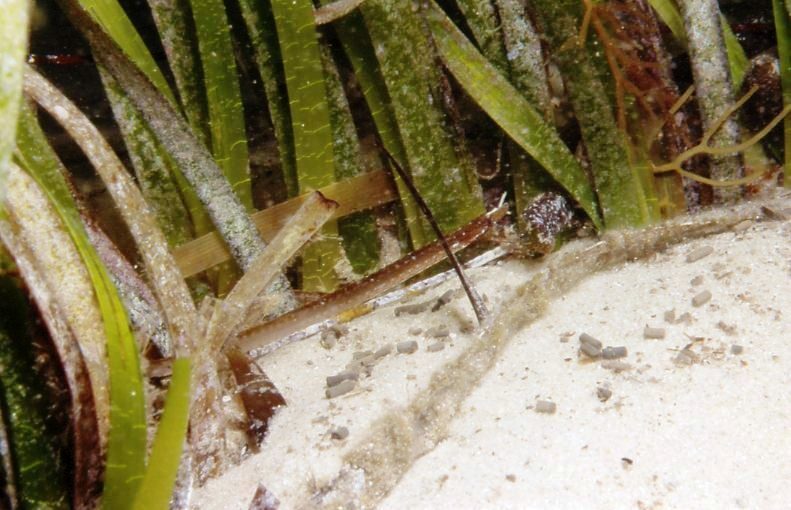 The majority of clumps of seagrass always had pipefish positioned at the base or within the blades of seagrass, and it wasn’t difficult to find pipefish in the sandy areas surrounding them. 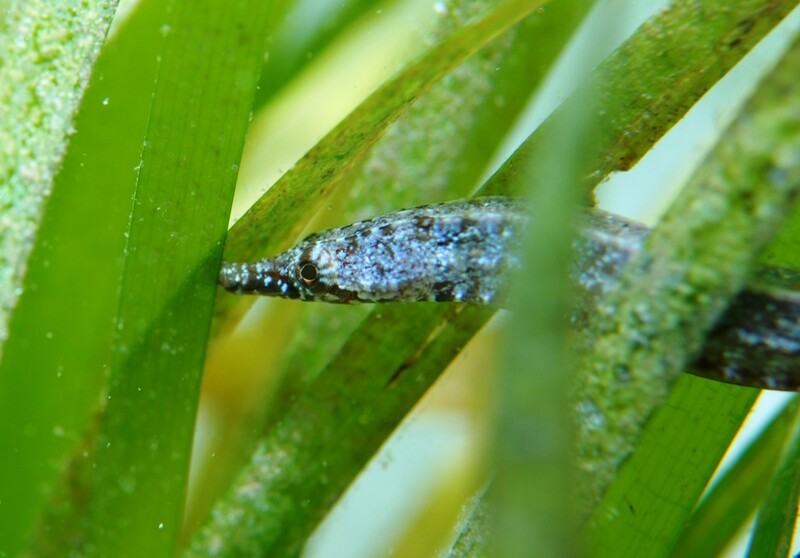 In contrast it was generally difficult to find syngnathids at the edge of or within the vast seagrass beds. 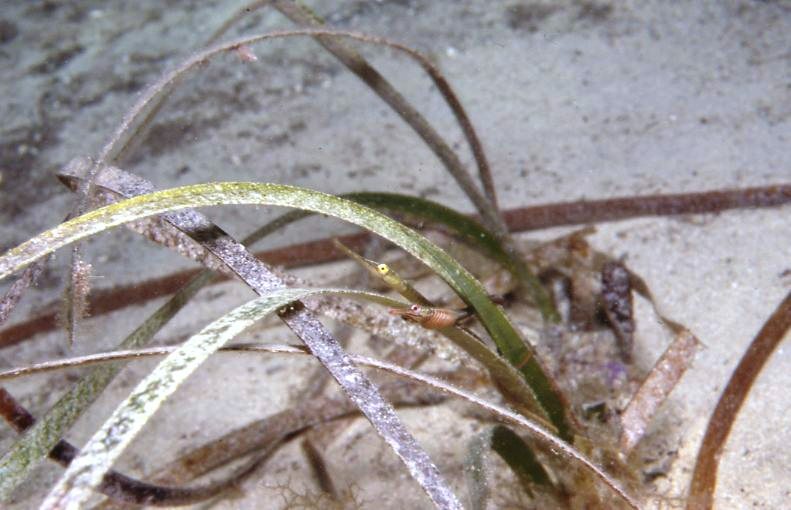 David and I discussed the possible reasons why pipefish seemed to prefer the seagrass clumps: (1) they act as cleaning stations dominated by such fish cleaners as whiting, clingfish, and juvenile trevally, (2) better access to planktonic food source, or (3) a refuge from predators close to the sandy areas since syngnathids excel at resembling alive or dead seagrass blades. Subsequent and numerous dives with David over the years has led me to the observation that the diversity of pipefish observed at Normanville rival the diversity if not exceeding it in the tropics. For example, syngnathid species observed extensively by David Muirhead, Kevin Smith, Janine Baker, Robert Brown, and myself include: Stigmatopora narinosa, Stigmatopora argus, Stigmatopora nigra, Vanacampus poecilolaemus, Vanacampus vercoi, Vanacampus margaritifer, Vanacampus phillipi, Lissocampus caudalis, Pugnose curtirostris, Leptoichthys fistularius, Histiogamphelus cristatus, Histiogamphelus briggs, Hypselognathus rostratus, Phycodurus eques, Phyllopteryx taeniolatus, Hippocampus breviceps, Filicampus tigris, and Maroubra perserrata. 18 species in total were observed over time at Normy however if you include the pipefish genera observed at dive spots just north and south of Normanville in Carrickalinga (Campichthys, Notiocampus) and Second Valley (Heraldia), respectively, the total number of species is 21. All of these syngnathids are endemic to Southern Australia. Interestingly, in other areas (Fleurieu to York Pennisula) David, Kevin, and I have not observed as many genera of syngnathids as seen in Normanville. 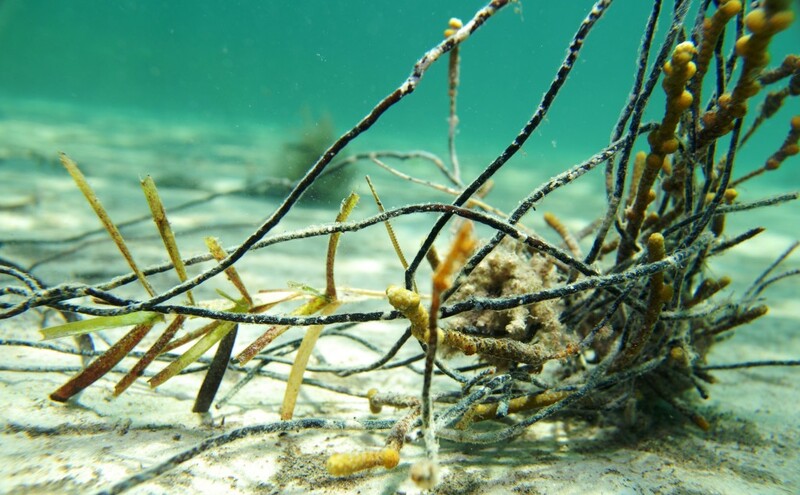 Cryptic syngnathids look like dead or alive seagrass or kelp. Our genetic study (unpublished), which includes 48 genera, on the relationships of syngnathids has revealed an amazing Southern Australian species radiation. The image below shows a ‘family tree’ of Indo-Pacific syngnathids with a Southern Australian specific and endemic group of closely related pipefish (see His to Pug in green). In this group two genera has also radiated into four species each, Mitototichthys and Vanacampus, respectively. Notably the species Kaupus costatus and Vanacampus vercoi are endemic to South Australia with limited distributions relative to the other endemic Southern Australian species. The other South Australia endemic Stigmatopora narinosa is not related to this group and instead is closely related to the tropical Indo-Pacific genus Corythoichthys. With the exception of the genera Kaupus and Mitototichthys, all the pipefish in this Southern Australian species radiation have been observed at Normanville. The biogeographical factors in Southern Australia that may have contributed to the radiation of syngnathids are many. According to Poore (1995), these include the very long period of geological isolation (over 65 million years), large continental landmass and extensive continental shelf of Australia, the characteristic low nutrient status of the Australia’s coastal waters which may have facilitated exytensive syngnathid habitat in the form of vast seagrass meadows and which comprise some of the largest temperate seagrass meadows in Australia. 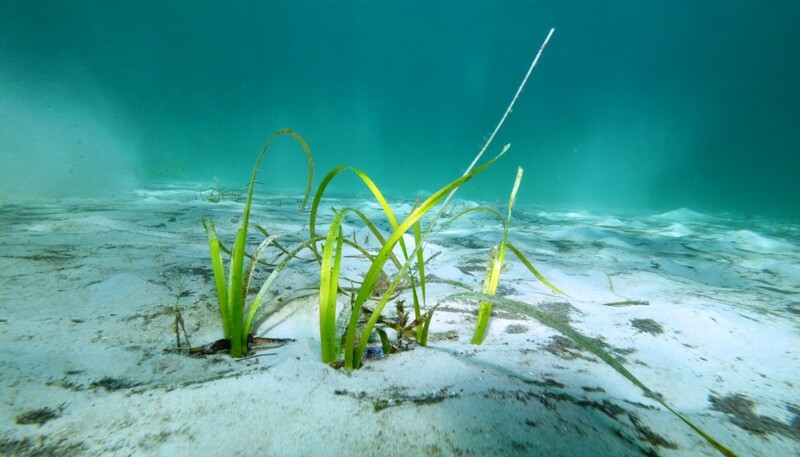 Seagrasses occur over approximately 9000 km2 in South Australia, and together with Western Australia, represent one of the largest temperate seagrass ecosystems in the world (Shepherd et al. 1989). Together these factors make Normanville in South Australia a very special place to observe syngnathids..including David and Jenni’s wonderful companionship…oh and the wine!